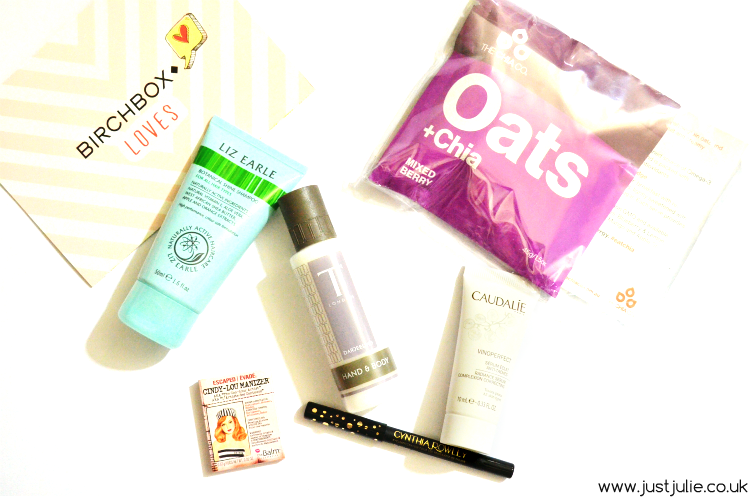 My February Birchbox* review is slightly different this month, as the title would suggest Birchbox have launched a new slimline box. This contains all the usual 5 to 6 samples, but now they are contained within a compact box that can easily fit through your letterbox, a huge plus for anyone out there that tends to miss the postman far too often! As you can see from the display image, the new slimline box is half the size of the original box yet still contains all the same contents as the larger size box. You now have the option to choose either sized boxes within the subscription section of your account. Now on to the box! We all know February is the month of love, so of course this months theme would be centred around love... Birchbox says regardless of whether you're loved up, love having a lie or love celebrating life itself, they want you to join in with all the love! Within the box is the usual hand out, which includes a 'Get Ready With Birchbox' with a list of Birchbox must have products for a date night. There is also a little teaser for March's box, which will have a sample, that apparently you can pick yourself from Benefit! T London Darjeeling Hand and Body Lotion: a new brand for me. This is a gorgeous lightweight body lotion with a mix of citrus and floral scents. I already have a ton of body lotions, so personally I'd like to have had something other than this, however it is lovely and leaves your skin feeling very moisturised. Liz Earle Beauty Co Botanical Shine Shampoo: I have several friends who work for Liz Earle and they're always raving about their shampoos and conditioners so I'm pleased to see this in my box. Completely natural ingredients and also sulphate free, this means this is a very gentle shampoo. Can't wait to try this. Caudalie Vinoperfect Radiance Serum: I've tried a few Caudalie products and none of them have disappointed. A radiance boosting oil free serum, means that this is the perfect serum to use on my skin type. I'll never get bored of skincare samples as I have found some gems from my subscription boxes and I hope this will be another gem! the Balm Cindy Lou Manizer: I think I maybe the only beauty blogger who hasn't tried anything from the Balm before. I've heard amazing things about the light defusing highlighter so it's nice to try it before picking one up (which I'd planned to do) for me this sample size is just too small, although it is super cute! Cynthia Rowley Beauty Eyeliner in Black: A new makeup brand for me. It's a black eyeliner, there's not really much else I can say about it... I own too many black eyeliners, however I'm always on the look out to find black eyeliners that don't smudge. It would have been nice if it was a different colour. Lifestyle extra - The Chia Co: This is sachet of Oats and Chia in Mixed Beryy flavour (they sell other flavours) you simply add this to hot water to create a creamy texture to have for breakfast... I'll be honest, I'm not into these kind of 'foods' so this will be another lifestyle extra that will go to no use for me. So that's the February box. I do really like it, there's some great products as usual, aside from the lifestyle extra, but I do feel like the products aren't at all related to the 'love' theme. I'd love to have seen some bath oils, maybe a small candle or a red lippy which for me would have suited the theme a lot better. What do you think of this months box? 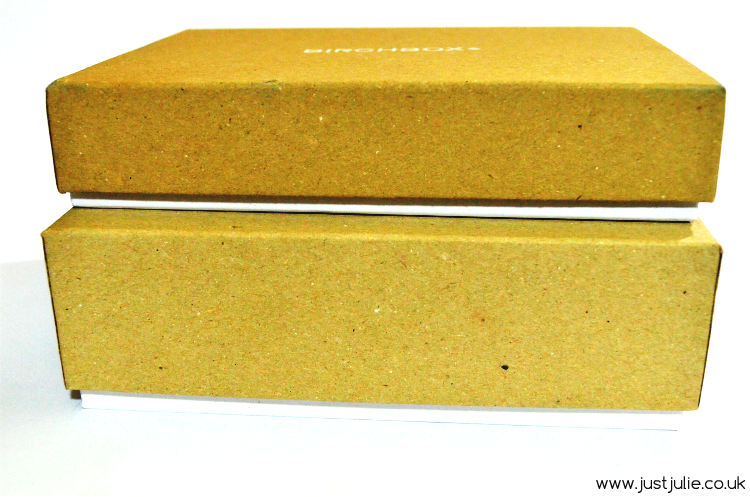 Do you like the idea of there being a slimline box as an option too?